Summer produce – what’s not to love? Well, until you get that piece of fruit that has so little flavor that you slump with disappointment. It happens to the best of us. I’ve talked to a lot of farmers and have a little secret to share on why fruit really is better from the farmers market. Well, it’s kind of a big ‘ahha’ moment that will make everything suddenly clear. But you’re here for recipes so let’s get to those first. Then below the recipes, at the bottom of this post, you’ll find my farmers market insight if you’re interested. You see, most monthly lists grab recipes where the main ingredient is in season, but overlook that several supporting ingredients are not. I admit, it drives me crazy! If I am going to take the time to go to the farmers market, I want to make use of everything they have to offer. So I wanted to share my own collection – things I am making this month. These recipes all use ingredients that are in-season for June (or available at high quality year-round, like lemons or limes), and have a creative spin on the ingredients. Did you know eggplant soaks up flavor like mushrooms? Get more eggplant tips and recipes. Buy organic green beans – regular ones have one of the higher concentrations and toxicity levels of pesticides. Get more tips and recipes for green beans or read more about organic vs conventional produce. Artichoke season is coming to an end. Grab a few for this recipes. New to artichokes? 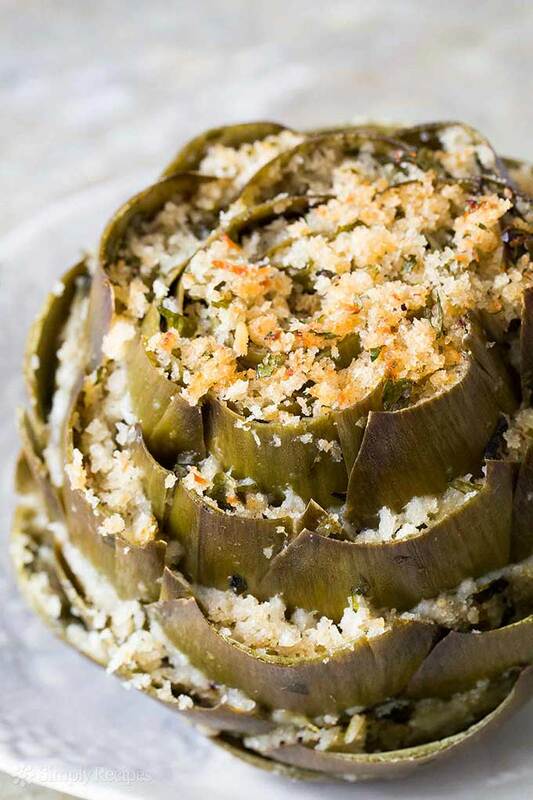 Get tips on what you are even supposed to do with them, and a few other recipes on the artichoke guide. Do you know the differences between red, green, yellow and orange tomatoes and peppers? Find out, along with more tips and recipes for tomatoes and peppers. Summer fruits don’t get sweeter or develop more flavor after being harvested. Get more tips & recipes for plums, cherries, and blueberries. Cherry tomatoes will be slightly sweeter, larger tomatoes might have extra water you want to drain out in a colander. Get more tips & recipes for tomatoes. Ever get a bitter cucumber? It happens when there are big temperature swings while they grow. Get more tips & recipes for cucumbers. Learn how to pick and store eggplants. 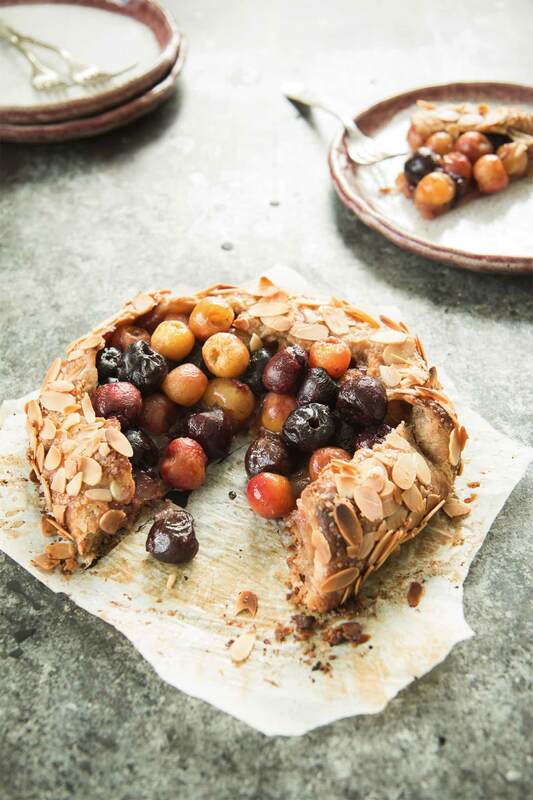 A fully ripened fig oozes that sweet honey flavor. 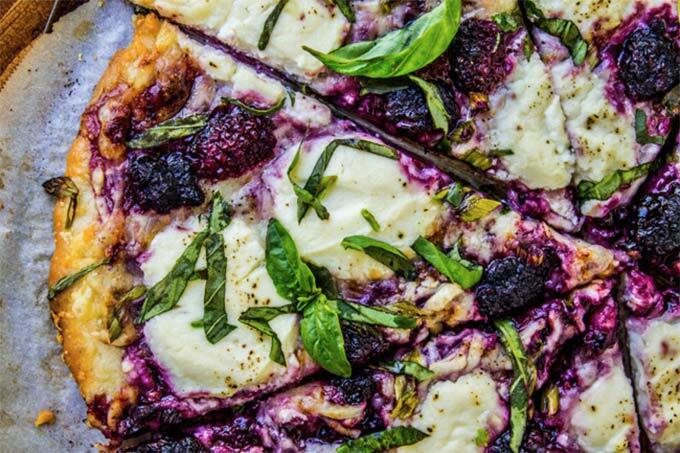 Get tips on picking the ripest ones & more fig recipes. Using fully ripe fruit is key to making this salad truly amazing. Get tips on how to pick out ripe peaches and figs. 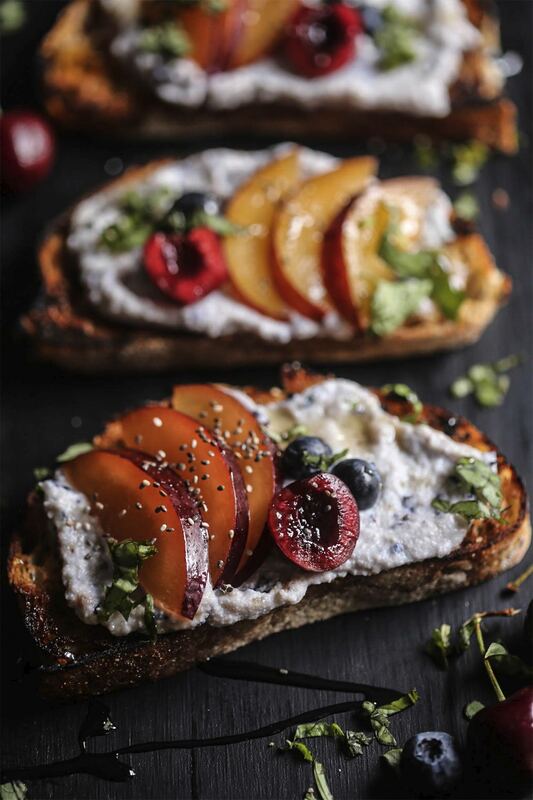 Blueberries have a shorter season than Nectarines, so make this in summer while you can still get them. Valencia oranges are in season in summer and fall, so look for that variety. The rest of the ingredients are available year-round. 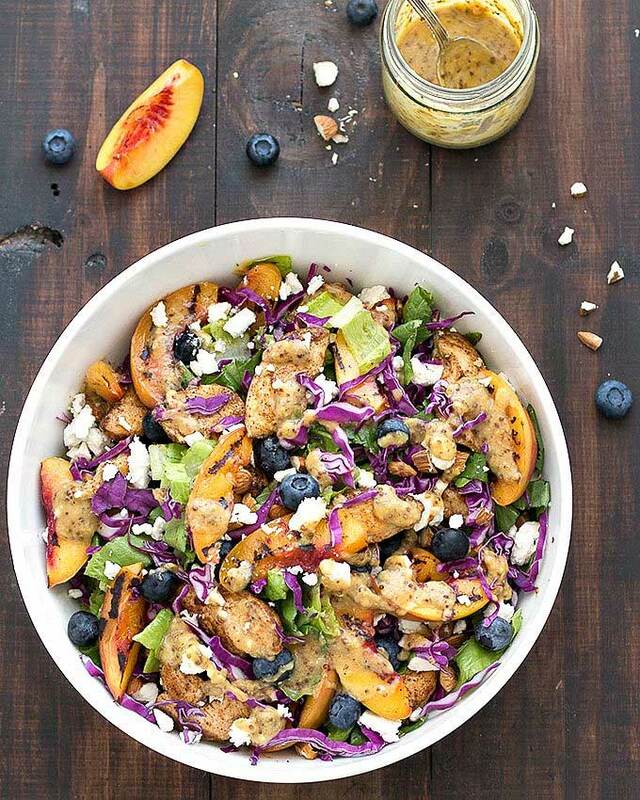 Using ripe, flavorful fruit is best for this salad, so learn how to spot the good ones: blueberries and nectarines. The sugar in corn turns to starch after it is picked, so fresher is better. Get more corny tips & recipes (I couldn’t resist). Spotting a good watermelon is actually quick difficult, but we still have a few tips to share. Valencia oranges are in season in summer, so look for that variety. Want to get other tasty recipes that feature bell peppers? We’ve got a bunch, along with tips on selecting and storing. 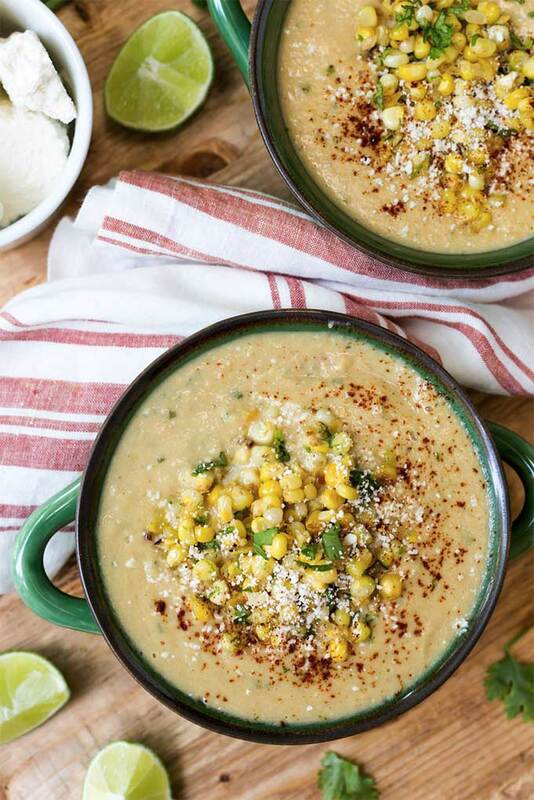 Want to learn the easiest way to shuck corn? I found a video for that along with more corn recipes on this page. Asparagus season is ending, so enjoy it one last time with this sandwich – it stays crisp all day, making it perfect for a picnic. Did you know fresh asparagus is sweeter? Get more tips and recipes for asparagus. Well this sure sounds delicious! Learn how to pick out the best bell peppers, zucchini, eggplant and rhubarb (along with even more recipes). What’s the best way to pit cherries without a cherry pitter? Find that out, and more, on the cherry guide. Don’t miss out on the peach guide either! Grapes start to show up in June, even though we think of them as a fall fruit, thanks to early-maturing varieties. Learn about the different types of grapes & get more recipes. 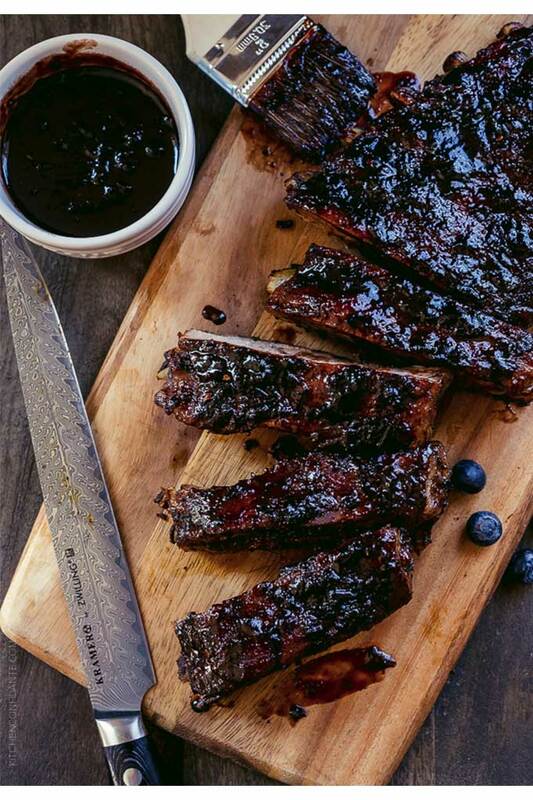 If you haven’t tried blueberry-based BBQ sauces, you should. They are delicious. Get more blueberry tips & recipes. The recipe calls for frozen raspberries – no problem, you can sub in the same amount of fresh ones. Raspberries are some of the most delicate fruit, which doesn’t ship well. So definitely seek out a local source or you’ll be getting berries that were picked way too early. Get more raspberry tips & recipes. Get more recipes for green beans, asparagus, and tomatoes. Bell peppers come into season in early summer, right around when asparagus season is ending. So this is a perfect use for the very last asparagus you can find. Get tips & recipes for asparagus and bell peppers. 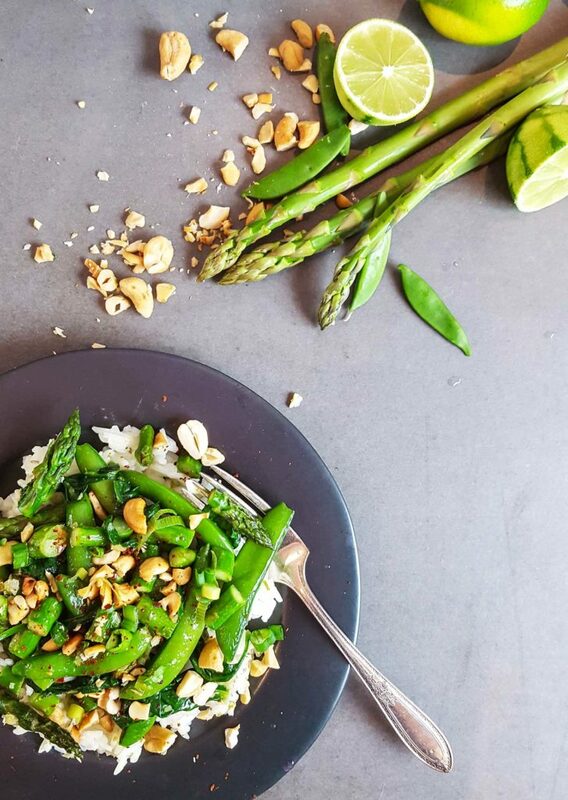 Asparagus season is coming to an end this month, this is a great way to enjoy the last of it! Get more asparagus recipes to enjoy one last time. Snap peas are sweeter right after harvest – get more tips & recipes for peas. A vegetarian option for chicken parmesan. Get more eggplant recipes. Zoodles – zucchini turned into noodles with a spiralizer. Get tips on selecting the best summer squash & more recipes. Ahh, a perfect, simple way to enjoy fresh tomatoes. Learn about the different kinds & their best uses on the tomato guide. Do you sometimes think blackberries are bitter? The stem and core sometimes contain small amounts of bitterness. But that is countered with fatty foods like cheese… making them perfect on a pizza. Get more blackberry tips and recipes. A few veggies sides, maybe some get stuffed! Get more zucchini boat and zoodle, and other summer squash recipes on the zucchini & summer squash guide. She layers the ingredients in the pepper like you would for lasagna, and it looks delish! Did you know green bell peppers have a slight bitterness that red, yellow, and orange ones don’t? But that can actually help in a recipe with ingredients like cheese and meat that contain fat, as the bitterness and fat work well together. Get more tips on peppers on the bell pepper guide. Yes, this comes with a beer pairing suggestion: a summery and light farmhouse ale. 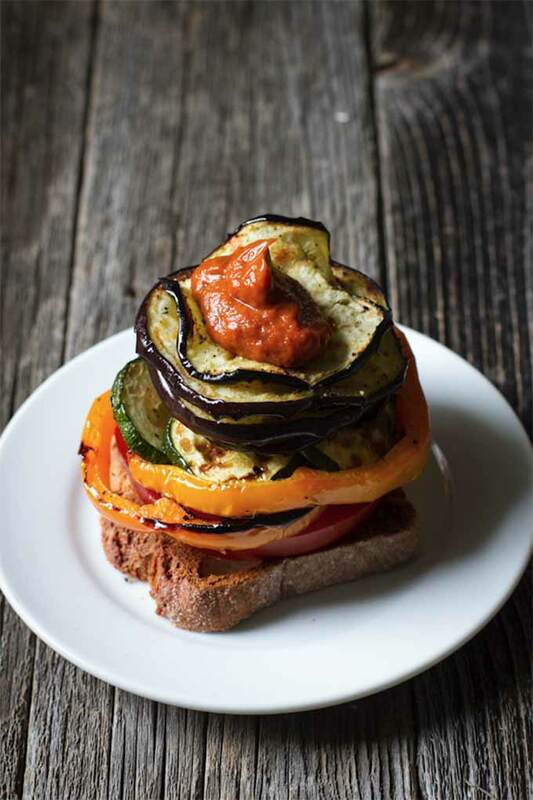 Love eggplant, or trying to figure out how to use it? 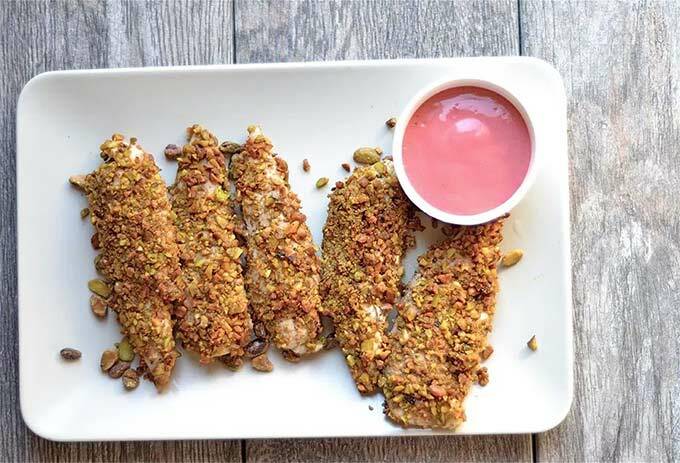 There are plenty of more recipes on the eggplant guide. Get even more tips & recipes for cucumbers and tomatoes. Cherry tomatoes are the first to show up in the market – and this is a great way to use them. Get more recipes for tomatoes. Get more green bean recipes & tips. This will be best with fully ripe, flavorful strawberries. Your best bet is to pick some up from the farmers market where you can sample before buying. Get more tips & recipes for strawberries. Lemons are good year-round. Blueberries have a short season so get them while you can. And get more blueberry recipes too. Use sweet or tart cherries depending on your style (and what’s available). Want to learn more about cherries – read the cherry guide. How cute are these? 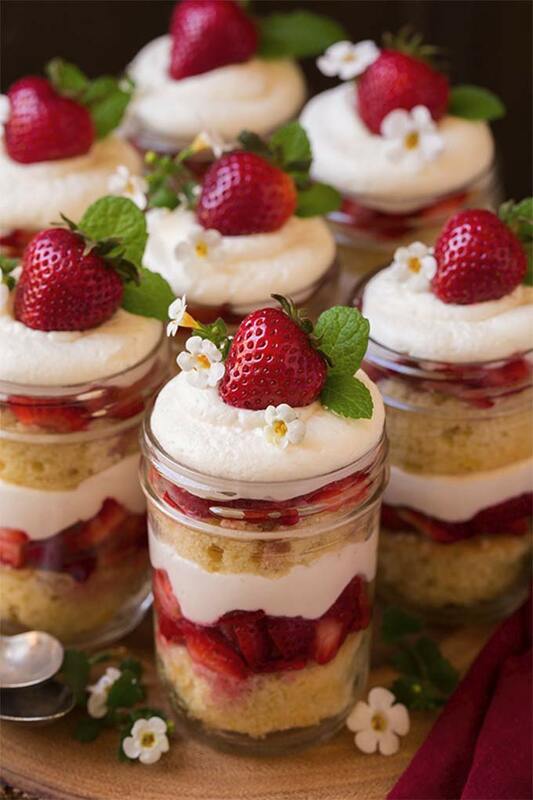 Get more strawberry recipes! 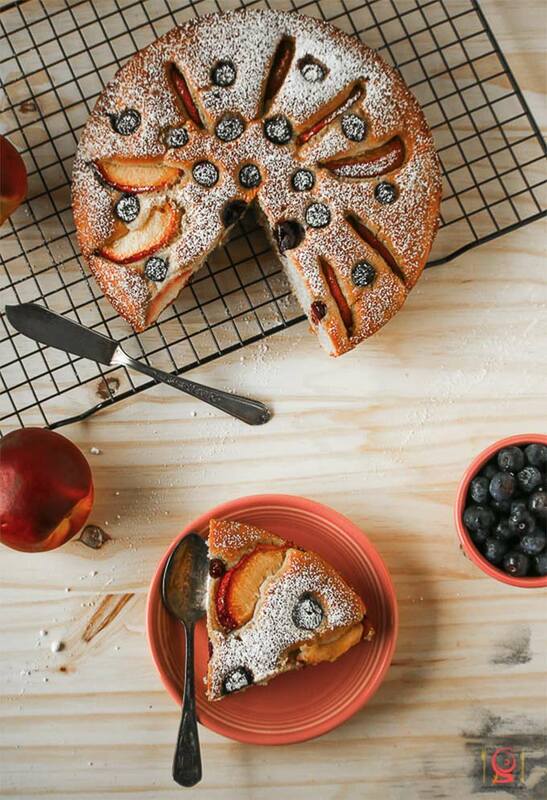 Get more recipes for blueberries and peaches. Did you know the rind on honeydew should be slightly tacky when it is ripe? Get more tips on picking & storing melons. A perfect refreshing drink on a hot June day! 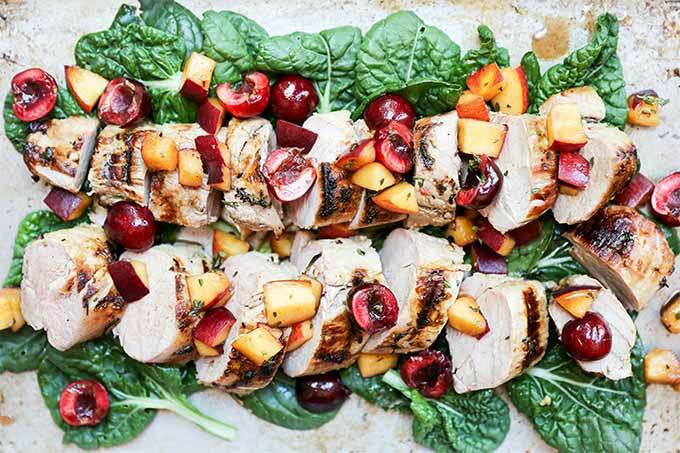 Get even more recipes for peaches and strawberries. Why is fruit from the farmers market better? Now that you saved some of those fun summer recipes, let’s get back to what I talking about earlier… about how I talked to a bunch of farmers and their insight made everything click. Farmers sell fruit to two very different markets. Grocery stores, and direct to consumers at farmers markets. (That’s not news, don’t sorry, that’s not the ‘ahha’ moment). The grocery stores want fruit that will ship well and last as long as possible on the shelves, which means they want fruit that was picked well before full maturity. Consumers want great-tasting fruit – which you only get when fruit was fully ripened before being picked. So farmers go into the fields or orchards and pick the fruit. The ripest ones are set aside to make their way to the farmers market, and the rest go to the grocery stores. Ahha! So better fruit really does go to the farmers market! There’s just one more thing you should know – most fruit doesn’t get sweeter or more flavorful after it is harvested. You might have already known that. But they do still turn color after harvest, even from unripe greens to fully colored. They also soften after harvest. This allows grocery stores to masquerade their fruit as ripe, delicious treats… which happen to have no flavor. 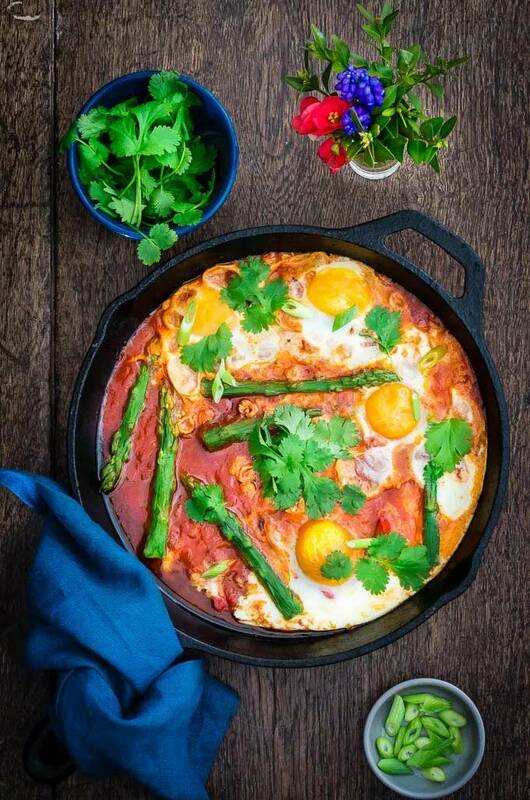 Find some good recipes or tips? Share this list with your friends! Save it to Pinterest, follow me on Facebook, and never miss another recipe. Want even more recipes? The Vintage Mixer has a seasonal list as well with a lot of really great looking recipes.